When homeowners in Jacksonville, FL, need closet organizers, they know they can count on the professionals at 31-W Insulation. We’ve been providing home improvement services for more than 40 years, making us one of the area’s most experienced contractors. Experience for yourself the top-notch customer care that countless other homeowners have already received, and trust 31-W Insulation with the installation of your new closet systems. 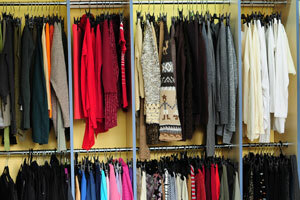 You can design your closet organizers to complement your home’s décor, no matter how your rooms have been decorated. You’ll have your choice of wood/laminate or wire components in a wide assortment of colors and finishes. No matter the material you choose, you can rest assured that your closet systems will stand up to wear and tear for many years to come. If you’d like more information about the closet organizers we install in Jacksonville, Florida, and surrounding areas, contact us today and schedule a complimentary consultation. Don’t forget to ask about our other home improvement services, including the installation of garage doors, attic insulation, shower enclosures, simulated stone siding, marble fireplace surrounds, and more.